US Defense Secretary Jim Mattis has confirmed that Secretary of State Mike Pompeo will visit Pakistan in the first week of September, Geo news reported on Thursday. As per details, Pompeo will hold discussion with Prime Minister Imran Khan and his team on issues of mutual interests. 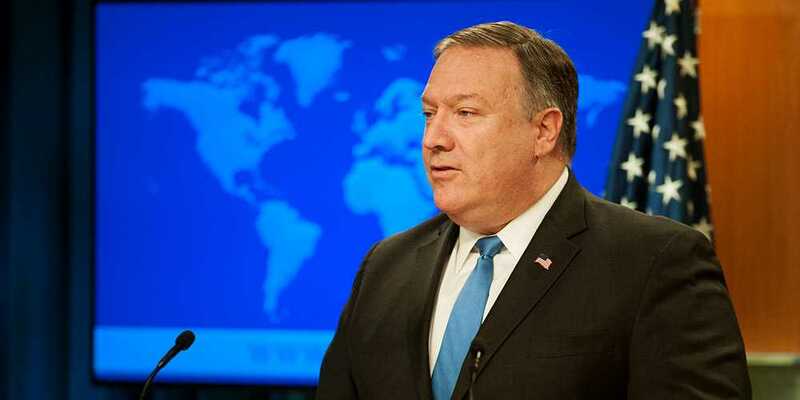 During his visit to Pakistan, Secretary Pompeo will focus on major issue of terrorism, seeking Pakistan 's support to take bilateral action against the common enemies and terrorists. Geo news, citing Jim Mattis, reported. Pompeo will be the first foreign dignitary to meet the newly elected Prime Minister, who took oath of his office on August 18. Relations between Islamabad and Washington nosedived in January when the US President accused Pakistan of providing "safe haven" to the terrorists, which Pakistan categorically denied as its people and armed force have made unmatched sacrifices in war against terror. In a statement, The US State Department had welcomed the new Pakistani prime minister, dispelling the impression that Washington was not happy with Imran Khan’s election. A senior US official, In an earlier statement, had hoped that the Pakistan's new government would work with the US for translating tough issues into mutual achievements.